Ruby Mae Whitfield was born on 29 April 1918 in Texas. John Earl Whitfield and Ruby Lucille Mitchell appeared in the US federal census of 1 January 1920 in Richards, Grimes County, Texas. Other members of the household included Ruby Mae Whitfield. John Earl Whitfield and Ruby Lucille Mitchell appeared in the US federal census of 1 April 1930 in Richards, Grimes County, Texas. Other members of the household included Ruby Mae Whitfield, Norma Earle Whitfield. She married Lee Dampier Fultz say 1940. 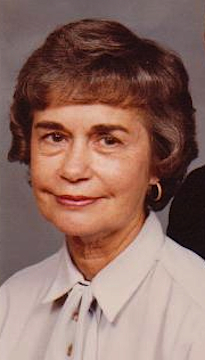 Ruby Mae Whitfield was living in Conroe, Montgomery County, Texas, at 1380 Fultz Court. The SSDI lists Conroe, Montgomery County, Texas, as the last residence of record of Ruby Mae Whitfield. Ruby Mae Whitfield died on 20 August 2004 at age 86 in Texas. Her husband Lee Dampier Fultz became a widower at her death. She was interred at Copeland Chapel Cemetery, Conroe, Montgomery County, Texas.